May brought the end of Morning Musume 15’s spring tour. For Kanon, many tours have ended with a member graduation. 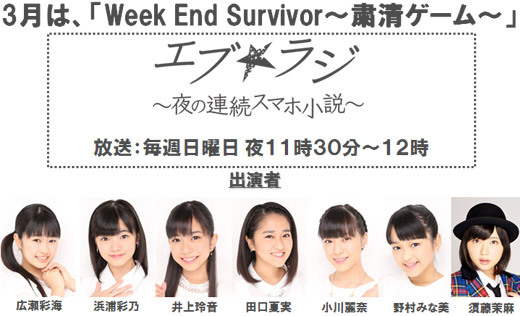 For example, Takahashi Ai and Michishige Sayumi both graduated at the end of a fall tour, and Niigaki Risa, Tanaka Reina, and Mitsui Aika all graduated in the spring. So, every time a tour end comes near, Kanon is reminded of those times. She looks back on the members last single and the work that they did together during that time; feeling a great sense of need to do her best to move on and push towards the future. 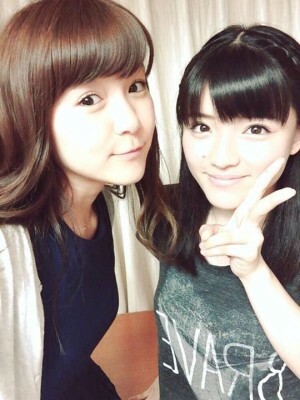 Speaking of Mitsui Aika though, she recently returned from New Zealand, which Kanon is particularly excited about. She considers Aika to be one of her mentors and her return means Kanon can go out to eat with her again. She conclude the intro saying she’d like to show off a fresh new side of her for the end of the spring tour. 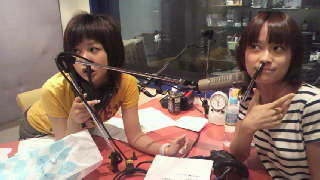 The first song is a request from a listener. They ask Kanon to play Kimagure Princess and ask who out of Morning Musume ‘15 is the most moody (kimagure). She quickly chooses Sato Masaki as the most moody. The return of her precious senior! May 7th was Masaki’s birthday, Happy Birthday! Masaki joined just 9 months after Kanon; at the time she was only 12 years old. Kanon was 13, so suddenly, she was no longer the youngest after a small period of time, which left her initially with a strange feeling. Masaki quickly became the younger sister member of the group which led to Kanon thinking that Masaki was a pretty cute kid. 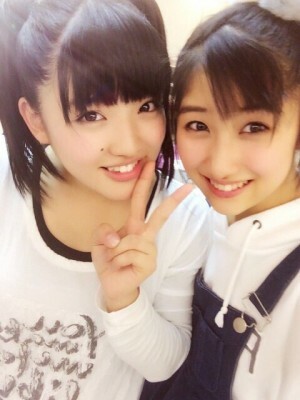 Recently, on the spring tour, during the filming for it Kanon noticed that Masaki was much more mature and cool. Because Masaki is more known for her character as being energetic and cute, the grown up Masaki surprised her. Kanon praises Masaki, saying she a genius when it comes to understanding songs and the like; it really motivates Kanon to do her best alongside Masaki in Morning Musume. They’re both growing up so fast! Fan mail #1: The listener is having trouble with dry skin due to it being the winter. They thus ask Gaki-Kame for their skincare advice. “Cream and more cream,” Gaki-san says. “And a humidifier,” Kame adds. Fan mail #1: The listener just realized something: they seem to close their eyes when brushing their teeth. “What about you two?” he asks. Gaki-san doesn’t close her eyes when brushing her teeth, but she can’t stand still so she prefers to walk around the house. While Kame prefers to stay put with her eyes open, she does find herself tapping her feet and keeping a beat. Gaki-san praises her co-host for being so artist-like. This week’s show is a Message Matsuri, meaning loads and loads of fan mail!